If your special someone loves the ski slopes of Vermont, Izadorable. has created a truly unique and special gift. This new jewelry line offers a sterling silver piece designed as a ski lift ticket that can be worn as a pendant or a charm. Remember the special moments you have spent together on the slopes with a keepsake lift ticket from Killington, Stowe or Stratton. 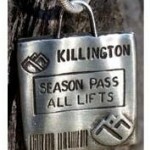 Other lift ticket charms recall time spent in Woodstock, Manchester or Vermont in general. Reminisce about special memories made in Vermont with this unique gift for any special occasion. Think: bridesmaids gifts for that destination Vermont wedding, your daughter graduating from UVM, a special birthday gift for your grandmother who brought the whole family to Vermont every Christmas so her grandkids could share her love of skiing. And, last but not least, Valentine’s Day is just around the corner. To view available Vermont designs, click to Izadorable. 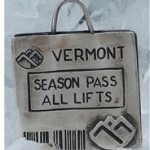 For more unique gifts from Vermont, check out Vermont.com’s Shopping Guides. This entry was posted in Now Trending, Shop, Uncategorized on February 4, 2016 by Linda Warner. Give the Gift of Vermont OKEMO CELEBRATES VALENTINE’S DAY Hawkins House – beautiful and unique gifts Are You Ready for Mother’s Day This Year?